There is a relatively simple way of making your car fun to drive, its called an anti-lift kit. In most road cars with non-adjustable suspension, the car tends to show lift or dive during acceleration and braking respectively. This happens on road cars as they are primarily designed to be driven on less-than-ideal roads every day, rather than on smooth tarmac race courses. The softer suspension makes the car comfortable and helps it absorb impacts much better, the flip-side, of course, is that it rolls around a bit more than a racecar would. 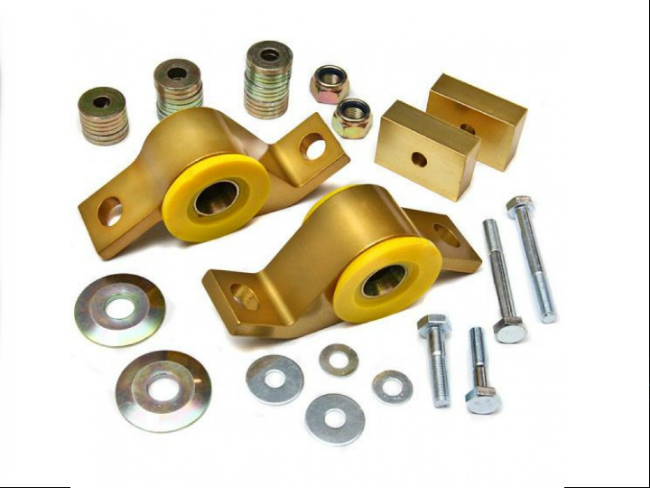 An anti-lift kit changes the front suspension geometry to reduce the lift and dive effects on the car, by making the chassis absorb road imperfections than the suspension. Reduced suspension compression means less movement, better grip for the front tyres and improved steering. For front-wheel-drive cars, this modification can reduce the tyres from spinning during acceleration and reduce the load on them during hard braking, improving performance on the whole. There are basically two types of anti-lift kits: one uses the existing front suspension components and adds simple modifications to change the camber angle (how much off axis the suspension is towards the front or rear of the car). The other uses modified suspension components, including stiffer springs and different mounting points for a custom setup. The latter is more expensive, of course. What are the drawbacks? As the suspension is fiddled with, ride comfort is affected. NVH levels, road noise and steering effort will increase too. Ask your local modification expert for help in understanding the anti-lift kit options for your particular car, though DIY is not difficult at all.